New Winnie the Pooh and Friends Seasonal Woods Winter Digital Tsum Tsums Released on the Quidd App! Home » News » New Winnie the Pooh and Friends Seasonal Woods Winter Digital Tsum Tsums Released on the Quidd App! The new Winnie the Pooh and Friends Seasonal Woods Winter Digital Tsum Tsums have been released on the Quidd App. The new Tsum Tsums are LE 2000. Those wishing to collect these new digital collectibles or to find out more about the Quidd App, be sure to click on the link or photos below. Click here to head to the Quidd App and start collecting Tsum Tsums today! Tsum Tsum Collecting Channel Launched on the Quidd App! New Winnie the Pooh and Pals Easter Micro Tsum Tsum Set Released! 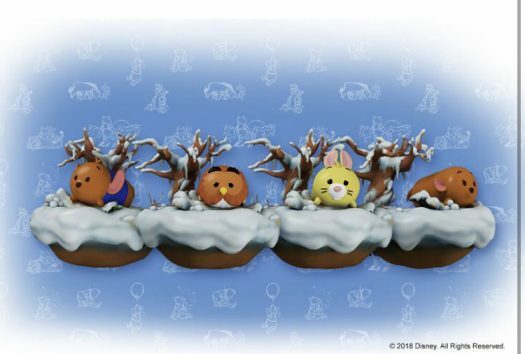 Detailed Look at the upcoming Winnie the Pooh and Friends Tsum Tsum Christmas Wreath New Winnie the Pooh and Friends Tree House Tsum Tsum Set Coming Soon! Easter, Peter Pan and 100 Acre Woods Tsum Tsums Released on JCPenny.com New Monsters, Inc. Tsum Tsums released on the Quidd App!